Fast detailed rocky open fell side. Please Note: The walk to the main start on Day 4 will be in excess of 2km but, more importantly, will involve some 400 metres of climb. For this reason, courses 12, 15, 16 and 17 will be located on a different area to the other courses and will be at a lower level, but still involve 1km and 120 metres of climb to the start. Because of this, Course 12 may be less technical than on other days, but it was felt that, on balance, this would be preferable to the arduous climb. Previously, course 11, with many more courses was designated to this terrain but classes M75L, W70L, W75L, W45S & W50S have now been designated ‘new course 11’ and they will use the main start. Signed from the A593 Ambleside to Coniston road, follow the B5343 until it ends, turn left onto the minor road to Blea Tarn. Parking is after 500m on the right. Campervans can be accommodated but due to the narrow entrance, larger motorhomes should be parked at the NT car park at Stickle Barn, 2km before reaching the car park but go early to get a space. It is also possible to use public transport to get from Ambleside to Assembly (see below). Green and White (Low) Start: Go from Assembly through gate into northern car park field and leave this by stile at NE end. 1.2km, 135m climb , (40 mins). Courses from the Red/blue start finish near their start, follow tapes to ’start route’ and reverse. 40 mins. Courses from the Green/White start finish near their start, 20 mins. 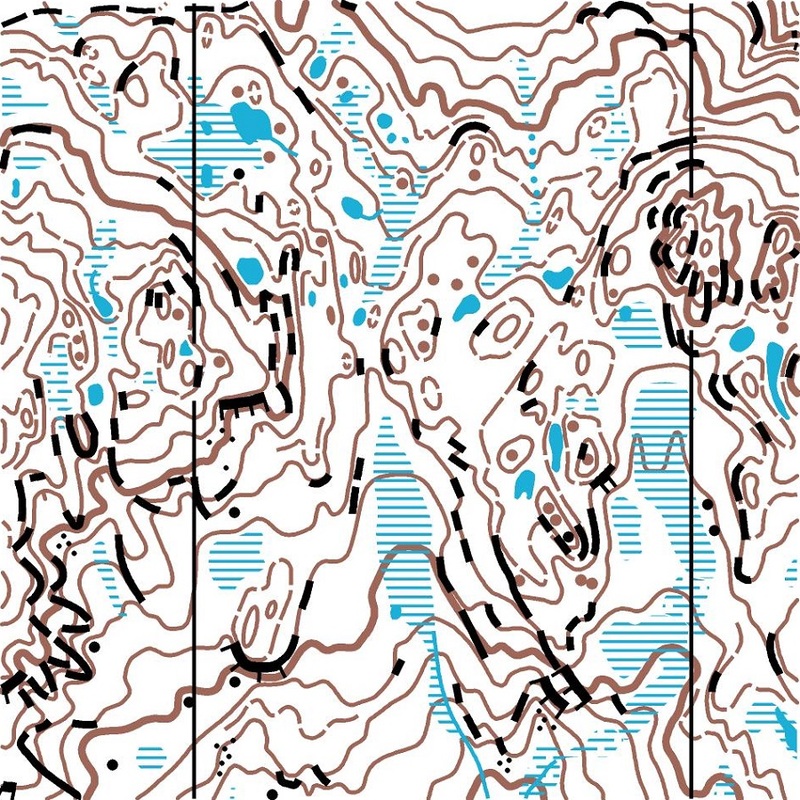 Pike o’ Blisco - 1:10,000, 5m contours (Courses 1 – 11, 13 & 14). Surveyed and drawn by Martin Bagness (Eastern) Malcolm Campbell (Western) 2009. Although entirely open fell side, the map does not use the rough open screen; open fell is printed white on this map. Blea Tarn - 1: 7,500, 5m contours (Courses 12, 15 - 17). Surveyed and drawn by Martin Bagness 2014. This map uses ‘normal’ map colours. Pike O’ Blisco offers some of the very best open runnable terrain in the Lake District with a wealth of rock and contour detail and almost no bracken. Blea Tarn has pasture, open fell and a woodland. It provides suitable terrain for the junior and oldest veterans’ course. By necessity some legs of the White course follow walls rather than paths. The Yellow course uses an indistinct path but this is marked by red and white streamers. Bus service (516) from Ambleside to Dungeon Ghyll (via Skelwith Bridge and Elterwater), only 500m walk to Assembly from here. Runs every 90 mins or so starting at 0930 hrs.